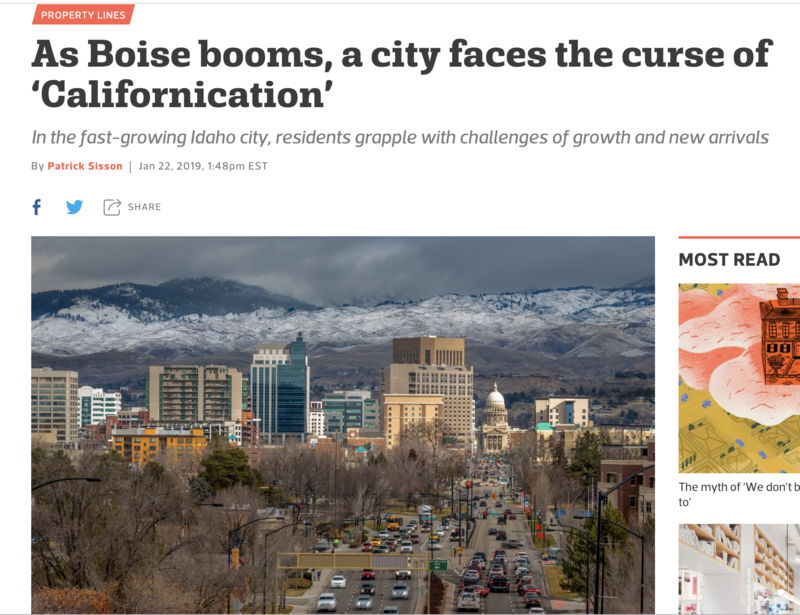 Unlike many other recent national pieces on Boise’s growth, it takes a more nuanced look at some of the growth challenges. The Boise metro area (population 700,000) has also experienced the downsides of rapid growth. Idaho, now the fastest-growing state in the nation, and Boise, a boomtown by many measures, have felt the strain from the city’s recent success. Downtown, now home to 400,000 residents and growing, is straining under traffic problems, and housing costs have skyrocketed. The state projects the region will add another 100,000 residents by 2025.